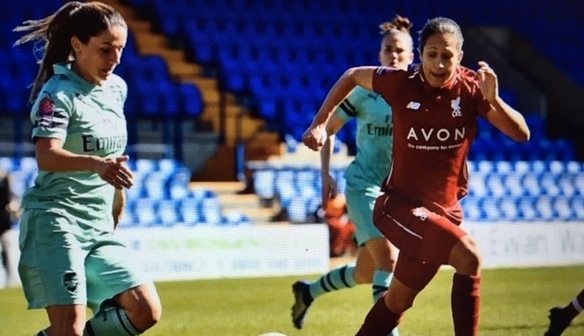 Reflecting on a frustrating outing, Jepson told Liverpoolfc.com: "It's not nice to be on the end of that scoreline to be honest but we knew it was going to be a mountain to climb. "Arsenal have a very good squad and we were missing a lot of players due to injury. "Niamh Fahey wasn't fit enough to start the game so we had to switch Amy Rodgers to centre-back. It's not her position but to be fair to Amy she did fantastic for us and I couldn't ask for more. "We had to battle through the game and hopefully next week we will be back to full strength and ready to have a good go away at Manchester City."